Woman Celebrating Running And Training Success On Countryside.. Stock Photo, Picture And Royalty Free Image. Image 43152948. 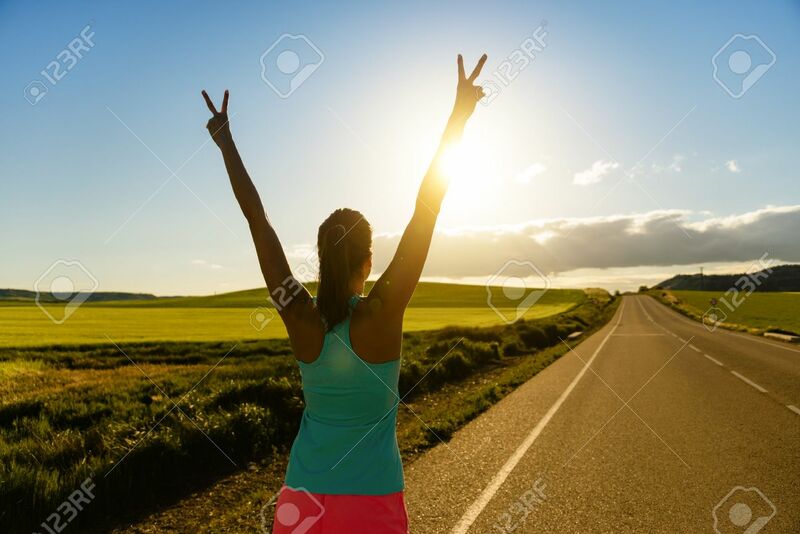 Stock Photo - Woman celebrating running and training success on countryside road during sunset or sunrise. Female runner raising arms towards the sun. Woman celebrating running and training success on countryside road during sunset or sunrise. Female runner raising arms towards the sun.